Brandon Perkins, a native Tulsan and son of Lindsay and Diane Perkins, attended Bishop Kelley High School and graduated from Holderness Preparatory School (New Hampshire) in 1989. After attending the University of Oklahoma, Brandon continued his education at Northeastern State University where he graduated with a 4.0 in Finance and Marketing. Initially, Brandon started his career with his own building company, Brandon Homes. He later joined his dad at Lindsay Perkins Development where he has worked for over 13 years. He currently holds the position of Vice President of Lindsay Perkins Development. Brandon and Lindsay have developed some of Tulsa’s premier neighborhoods including The Estates of Graystone, Devonshire, The Crescent, Legacy Park, The Village at Legacy, The Enclave at Legacy, The Park at Oak Grove, The Vintage at Verdigris, The Preservation District and now Southern Trails Estates an upscale development on 101st between Garnett and 129th East Ave.
Lindsay Perkins has retired, so he says, as of January 1st, 2006. Brandon has teamed up with lifelong friend and engineer Clint Briggs to form Perkins & Briggs Real Estate to continue the family tradition: “Developing LOTS of Value”. 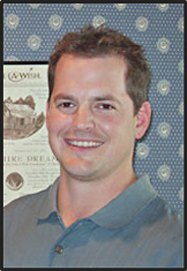 Brandon is an active member of The Home Builders Association of Greater Tulsa. He is currently on the Board of Directors, a member of the Budget and Finance committee, , the Public Affairs past president, the Developers Council past president, past Builders Council President, and past President of the Sales and Marketing Council President, past member of the Advertising Committee, past Home and Garden Show Committee. Brandon and his wife Elizabeth reside in Tulsa. They are enjoying their children; son Phoenix and daughter Ella.